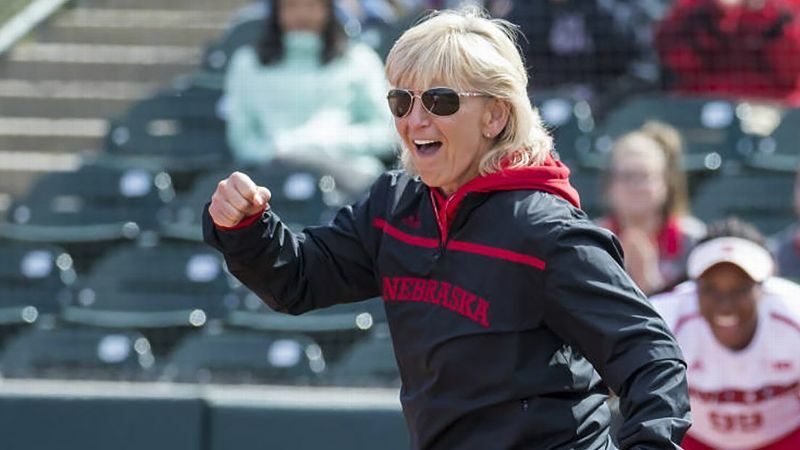 Nebraska coach Rhonda Revelle, who celebrated her 950th career win last month, recalls a heartbreaking conversation with a recruit who just needed a break. Rhonda Revelle was ready to make her recruiting pitch, but hesitated once she heard the tone of the player's voice. The Nebraska softball coach could sense something was wrong. The recruit seemed stressed out and unhappy. She was trying to make a major life decision at a much younger age than most kids. She didn't know what she wanted, but feared the scholarship offers wouldn't be there if she waited. "I remember her saying -- and it broke my heart -- 'Yeah. Sometimes I just want to take a break,' because she was playing all year round and getting phone calls from coaches," said Revelle, in her 26th season at Nebraska. "These kids don't even know what they want for dinner at this age and we're asking them to decide where they want to go to college. It's too much, and it's only getting worse." With some recruits giving commitments when they're as young as 11, coaches say they see player development slipping, the number of transfers increasing and passion waning. Many coaches translate that as a breaking point, and want to restore health to the sport by putting an end to early recruiting. The National Fastpitch Coaches Association (NFCA) announced in January that its Division I membership had asked for all recruiting contact to begin Sept. 1 of a prospective student-athlete's junior year of high school, similar to the legislation that was passed last year to end early recruiting in NCAA lacrosse. If the legislation is approved by vote, it will be sent to the NCAA board of directors on April 24 for ratification. If ratified, the rules would be effective immediately for all sports outside of football and men's and women's basketball, which have separate oversight committees, according to Brandy Hataway, the NCAA director of academic and membership affairs and staff liaison to the SAEC. Softball is proposing additional pieces of legislation specifically for its sport that mirror lacrosse, including restricting player-initiated phone calls until junior year. There are so many things that can change or can go wrong in that span of time, and it is really, really scary for everybody. 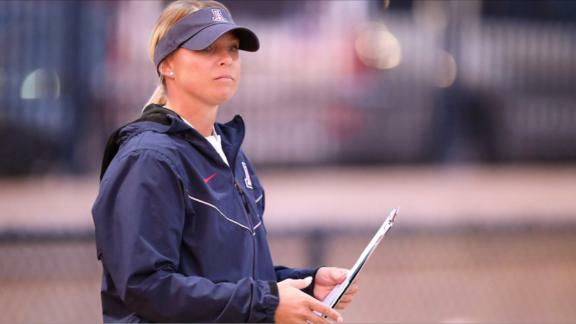 Under the current softball recruiting structure, there is no restriction on player-initiated phone calls, recruiting conversations at camps and clinics or unofficial visits. Recruits can verbally commit to schools at any age, but must wait until their senior year of high school to sign. 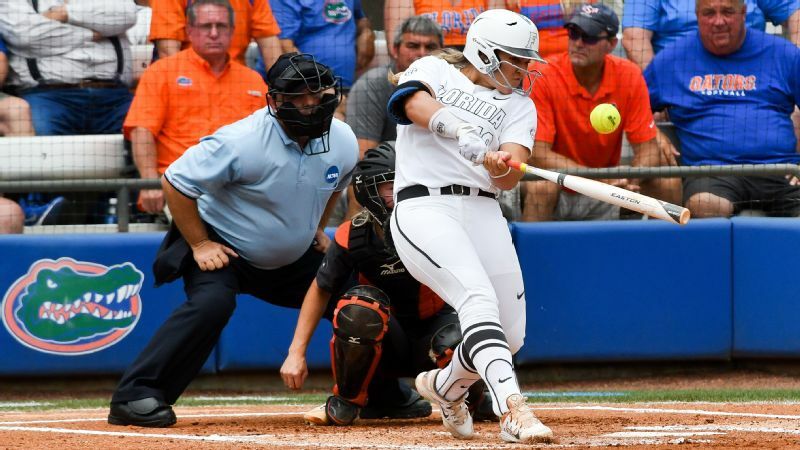 "Unless you put a rule in place that prevents early contact, younger and younger players are going to feel the pressure to engage in the recruiting process and coaches are going to feel the pressure to keep recruiting players that young," Tennessee co-head coach and NFCA president Karen Weekly said. "Believe me, it won't be long until some incredibly physically developed fifth-grader who happens to be 5-foot-10 and throws the ball 62 mph announces her verbal commitment to a school because there is no rule to prevent it." Although early recruiting is becoming more prevalent in many sports, softball has jumped to the forefront in volume. 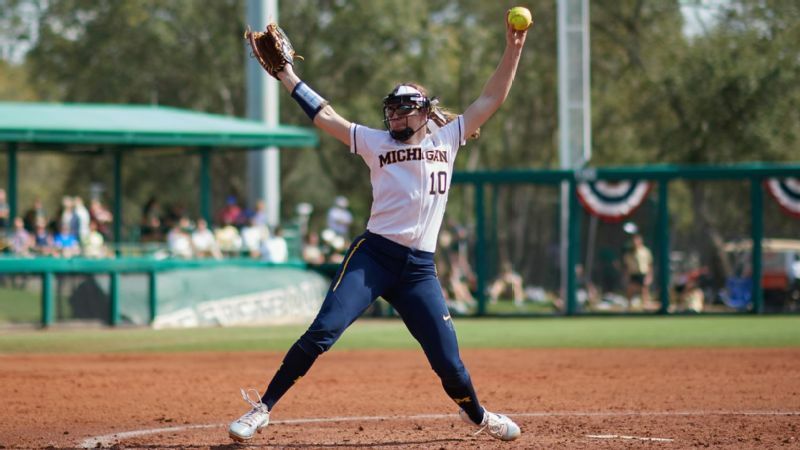 Nearly 50 percent of Division I softball players received a scholarship offer in or before the 10th grade, according to NCAA Research, and softball has the most student-athletes who commit to a college as ninth-graders or younger. "It is very frustrating and disappointing to watch it happen. 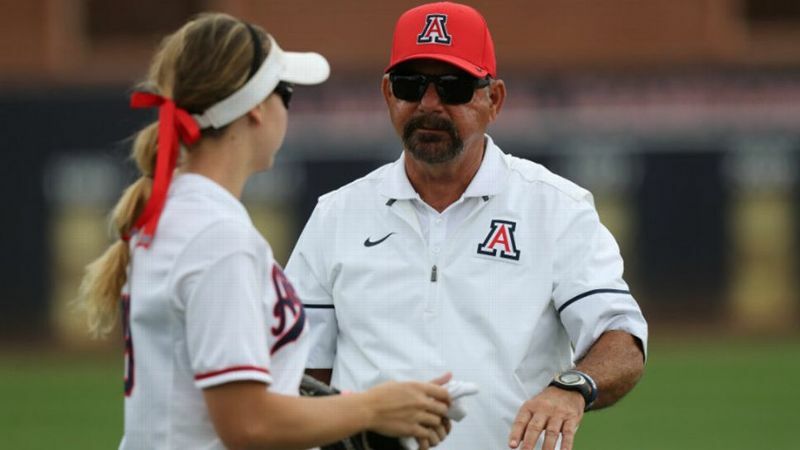 For myself, it's very difficult talking to a seventh-grader and trying to understand what they are looking for in life," said Mike Candrea, in his 33rd season as Arizona's head coach. "Here you are offering an opportunity to go to college and you don't know what kind of student they are going to be and you don't know if they will still be playing softball by the time they get here. It's just a big gamble." Michigan coach Carol Hutchins used to be surprised when she heard about juniors committing, thinking that was too early. Now, she wishes players waited at least that long. "Recruiting kids when they are 13 and 14 years old to go to college and be athletes and students is absurd," said Hutchins, a former two-sport college athlete in her 34th season coaching at Michigan. "Kids don't know how to handle the pressure of making that decision and they shouldn't know. It has sped up their youth because they are worrying about college when they should be worrying about what kids that age worry about." The mental health of athletes has become a more public concern in the past few years, with several college and professional players detailing their battles with anxiety and depression. Having kids navigate the recruiting process so early in their development should be a concern to everyone involved, said Emmett Gill, a professor at the University of Texas and expert on the personal development of student-athletes. Who has a backup plan? "There is a lot of anxiety and mental stress associated with that decision," Gill said. "How is a 12-, 13-, 14-year-old really able to digest and process all the information of what it means to be a collegiate student-athlete now with respect to the athletic component and university commitment? Then, there is the outside pressures they feel from parents and coaches. There are so many stresses on these young ladies that it seems like a practice that needs to be addressed." Kaitlyn Mulcahey, a sophomore at Donovan Catholic High in Toms River, New Jersey, wanted to get more playing experience before she began contemplating college. But she started to feel insecure about her abilities once she saw her Jersey Intensity travel ball teammates receiving offers. "The eighth grade was really stressful for me because all these girls were committing and I wondered, 'Why doesn't any college want me?'" said Mulcahey, who recently committed to Monmouth University. "I felt like I wasn't good enough or didn't have the potential even though I felt like I worked really hard. It's getting better now, but I know a lot of other girls had the same worry." As the head coach of the Orange County Batbusters, Mike Stith has noticed players caring more about chasing scholarship offers than learning how to play the game. He's seen players losing their motivation to improve once they commit. He's seen parents forcing their kids to specialize in softball much earlier, believing they'll have better odds of getting a scholarship. By the time they graduate high school, he says, many kids are suffering from overuse injuries or burnout. "The only thing that drives travel ball now is about people getting to college, where just 10 years ago it was about getting better and being competitive and developing the will to win," Stith said. "That has been eliminated from our sport, and it has probably hindered some of the development of these kids. They are not learning fundamentals at a younger age. They are learning how to be showcased for college." Arizona coach Mike Candrea worries that late bloomers are crowded out of the recruiting process. But early recruiting is not bad for all college programs, and not all early recruits become cautionary tales. Some programs benefit from getting players to commit before other coaches take notice, and many players remain happy with their college choice and go on to have successful careers. The security of an early college commitment can also put families at ease. Lexy Mills, a senior pitcher at Agoura High in Southern California, committed to Kansas when she was 14 and has no regrets about the decision. "I couldn't be happier. Kansas seemed like the perfect fit when I visited and I didn't want to chance waiting," Mills said. "Just ending the process was the best feeling I ever felt because it's not the most fun process. It's very time-consuming and stressful. You feel a lot of pressure to perform well at certain times. But it's turned out great for me and turned out great for many other players I know." Only three years after she began playing softball, Jasmine Polk committed to Cal earlier this year at age 13. The seventh-grader is a utility player, and travels four hours from her home in Yuma, Arizona, to Southern California each week to practice with the Corona Angels. I feed my family off this job and I want to be right with the kids I bring in. "Jasmine absolutely loves to play, and it wasn't rushed for her at all. It was fun for her to go through the recruiting process and meet all the different coaches," said her mother, Rosa Craven. "She was looking at schools for the whole package, and not just softball. She told me if she didn't want to play the game, she would still want to go to Cal to study. It blew my mind how prepared she was." Many college coaches don't want to recruit players still in middle school, but feel compelled to keep their programs competitive and protect their jobs. "I feel very strongly we need to slow things down. I feed my family off this job and I want to be right with the kids I bring in," LSU head coach Beth Torina said. "It's much easier to judge players when they are closer in age to when they will actually be here playing than trying to figure it out five years ahead of time." The rise of early recruiting has coincided with the rise in transfers. According to NCAA Research, 38 percent of female athletes who made verbal commitments before or during 10th grade are no longer enrolled at that school. By the time a recruit gets to college, programs may have changed coaches. Other recruits don't develop at the rate initially projected and don't get much playing time. Both circumstances lead players to search for other options. "It's just not a fun thing to try and figure out where these players may be by the time they get to college. It's like looking into a crystal ball, especially with pitchers," Alabama coach Patrick Murphy said. "Is she going to be as good five or six years later? Will they stay the same physically? Is their desire to play going to be as strong? Are her grades going to be there? There are so many things that can change or can go wrong in that span of time and it is really, really scary for everybody." Late-blooming high school players can also be left behind because recruiting classes are filled so far in advance. "I wonder how many players are slipping through the cracks," Candrea said. "The changes female athletes can make between their sophomore year of high school and senior year can be unbelievable. I've had All-Americans that didn't get noticed until they were seniors. Some of those kids may not get recruited to bigger programs anymore." Although it's still early in the process, some NCAA lacrosse coaches say they have already seen benefits from the change they implemented to end early recruiting. "It has been extremely positive, and it was absolutely needed for us," USC women's lacrosse coach Lindsey Munday said. "The pressure is off for everybody a little bit in terms of making these major life decisions so early and allowing coaches to actually see how players develop and mature. All of that is extremely important for everyone involved." It becomes a culture of panic and a culture of fear. Hutchins hopes softball can experience the same renaissance. "The average person off the street would think we are nuts to be talking to kids this young about college," Hutchins said. "But we are all in this bubble trying to get the best kids, and if somebody does it, everybody else does it. It becomes a culture of panic and a culture of fear." Every time Revelle sits in the stands at showcase tournaments and watches middle-school-aged teams play, she remembers her conversation with the stressed-out recruit who just wanted to be a kid and have fun playing softball. "I am really trying to listen to that young lady and think about how many others are out there that probably feel they don't have a voice," Revelle said. "Who is going to be the voice for the young people?"